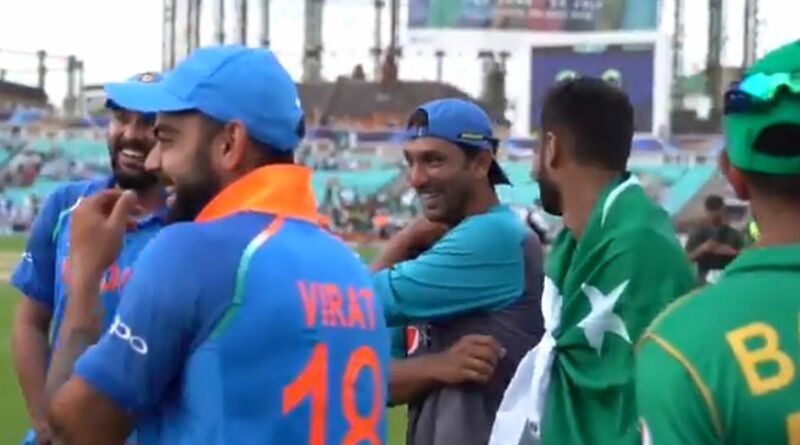 Pakistan all-rounder Shoaib Malik finally revealed the reason why he was laughing, along with Indian skipper Virat Kohli and Yuvraj Singh, after the Men-in-Green thrashed India by 180 runs in the final of Champions Trophy 2017. In the above video, Shoaib Malik is talking about the incident which had taken place during a One Day Internationals (ODIs) match between Pakistan and West Indies. Swashbuckling batsman Chris Gayle has smashed the ball in the air and both Shoaib Malik and Saeed Ajmal converged under it and later both of them bailed out thinking the other would go for the catch and ultimately the catch was dropped. Shoaib Malik had donned the white jersey for Pakistan in 35 matches and scored 1898 runs at an average of 35.14. Malik has also bagged 32 wickets in Test at an economy rate of 3.36. Malik has also played 271 ODIs for Pakistan and scored 7226 runs at an average of 35.59 with the help of nine centuries and thirty-five fifties.